Chilblains develop when the skin becomes cold, the tiny blood vessels under the skin become narrow and then when the skin warms up again these blood vessels leak fluid into the area and this causes inflammation. They appear over a couple of hours and last up to a fortnight. 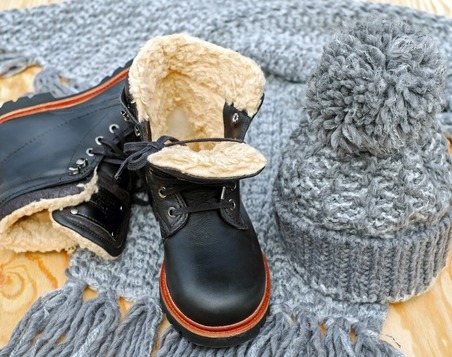 Some people are more likely to develop chilblains. There are people who inherit the likelihood, people who smoke or have diabetes, people who are severely underweight and people who have connective tissue diseases e.g. Lupus or Raynaud’s. Caffeine and decongestants constrict blood vessels and should be avoided if you are prone to chilblains. As always prevention is better than cure and although it sounds simple the best thing to do is stay warm, not just your feet but your whole body, through protective clothes. Do not warm yourself up quickly by putting your feet close to a radiator, the fire or a hot water bottle. Warm up slowly by exercising and taking warm drinks. There is no magic wand to cure chilblains and once you have had them you are more likely to have a recurrence. But if you have developed them used soothing products such as witch hazel to cool them. Massage and moisturise them daily. If they have broken down into wounds, then see your GP or podiatrist immediately to have them dressed and begin the healing process.